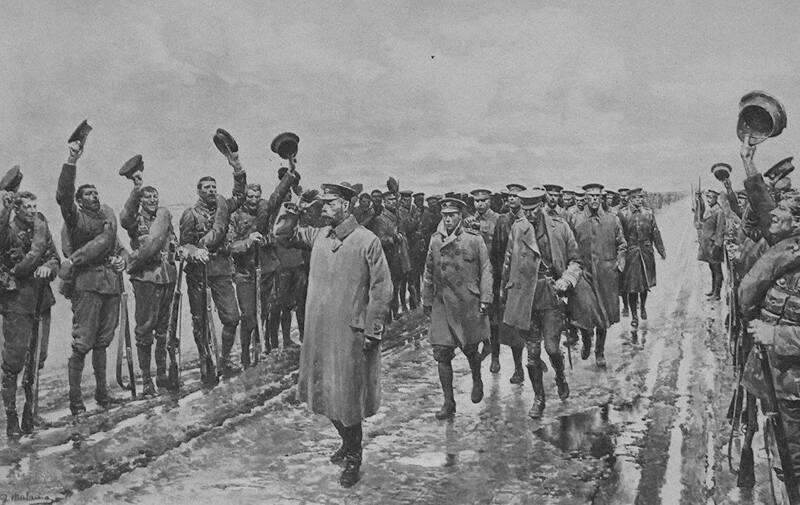 If this drawing of King George V, accompanied by his eldest son Edward Prince of Wales (the future Edward VIII), visiting British troops on the Western Front in 1916, resembles a photo in any way, it is entirely due to the skill of the artist, Fortunino Matania. Matania was famous for his realism, and his World War One drawings scored over photographs of that era because they didn’t look staged. If this had been a photo, most of the people in it would have been staring nervously at the camera! Two soldiers, invalided out of the army, in the grounds of the 4th London General Hospital, at Denmark Hill. 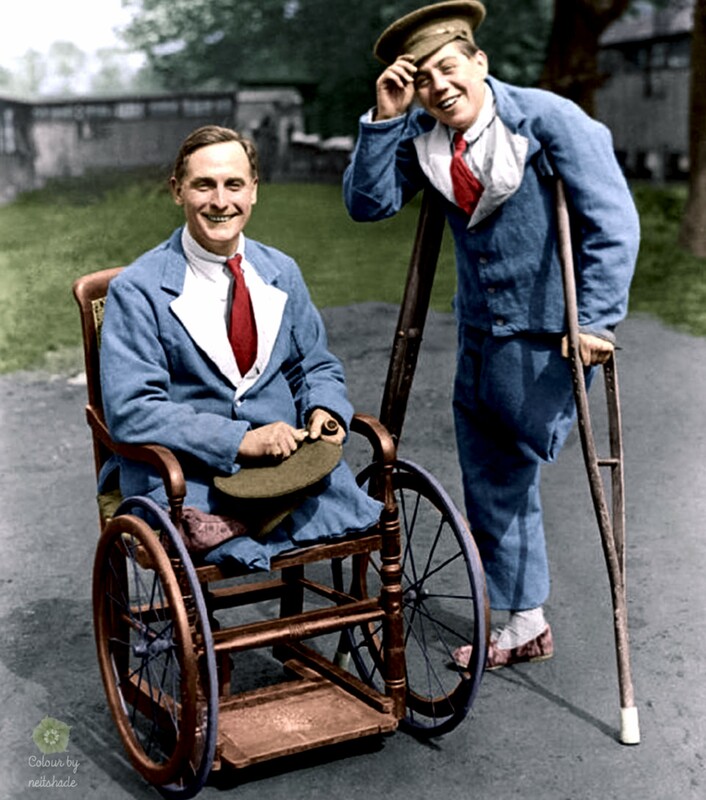 They are wearing uniforms that became known as “Convalescence Blues”, which were given to all invalided soldiers except officers. 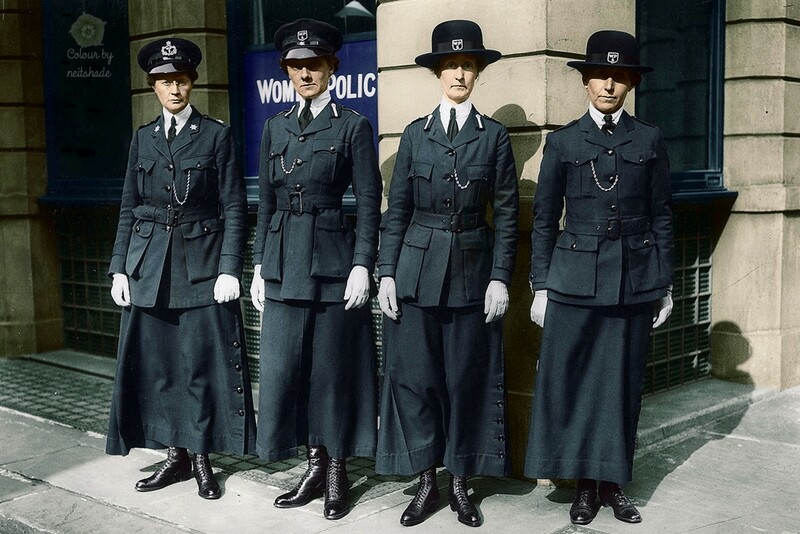 Members of the Women Police Service, around 1916. During World War One, when men going to the front depleted the male workforce, women filled their places. The police forces were no exception. Although their role was still limited, it went beyond that of before the war, when women, often the wives of policemen, were used merely to observe propriety for female prisoners. 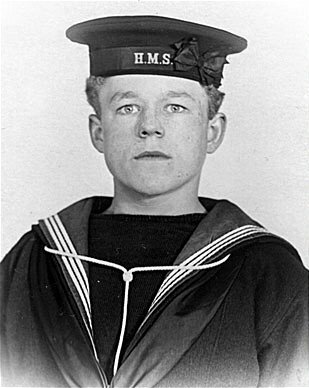 German sailor Albin Köbis was executed by firing squad for alleged Marxist agitation in the Imperial German Navy, on 5 September 1917. 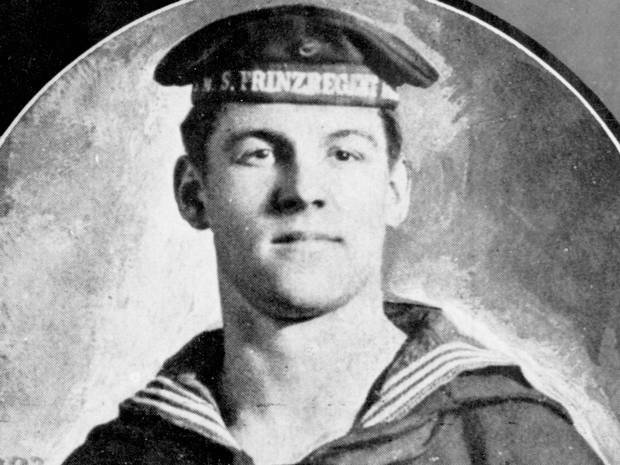 Four other men were executed for the same crime, and these killings helped trigger the Naval Mutinies of the following year. 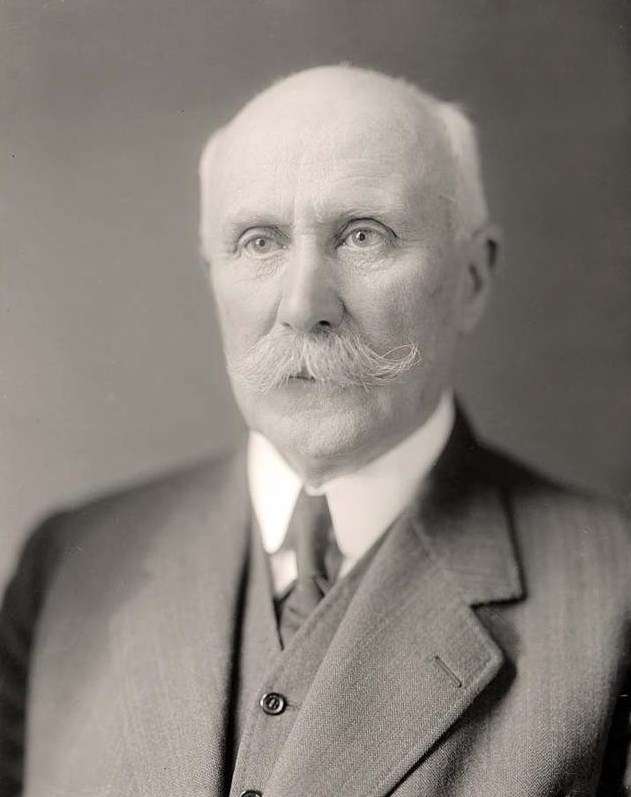 Henri Philippe Benoni Omer Joseph Pétain, around 1930, while he was still Inspector-General of the Army. He would retire from this post in 1931. 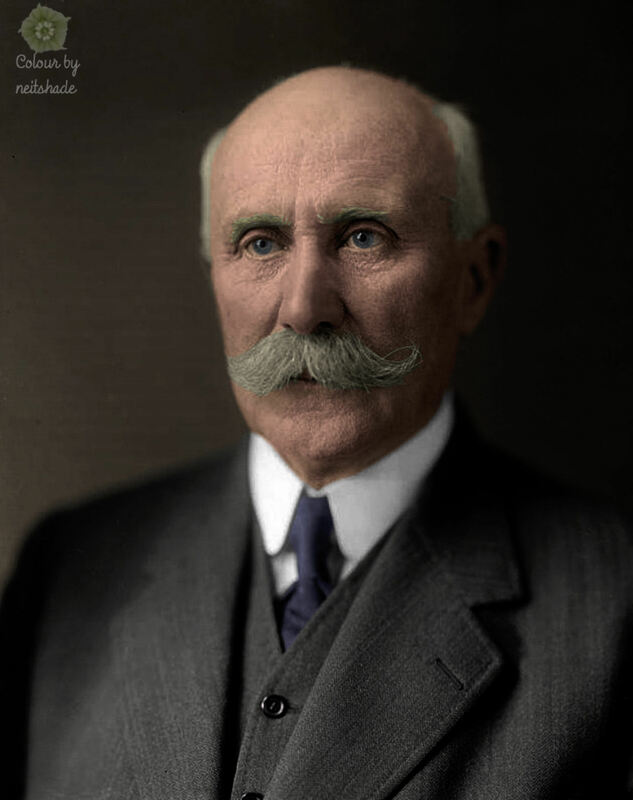 A hero of the first world war, he would sully his name in the second when, in 1940, he headed the Vichy government. 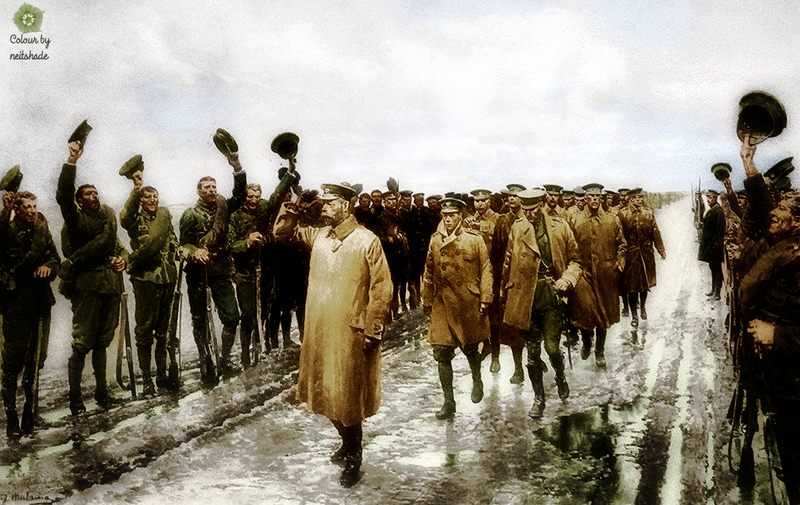 After the war, Pétain was tried and convicted for treason, and sentenced to death, but the new president, De Gaulle, commuted the sentence to life imprisonment. Claude Choules in 1918. Choules was the last surviving veteran, of any nation, of the First World War, and also the last veteran to have served in both world wars. 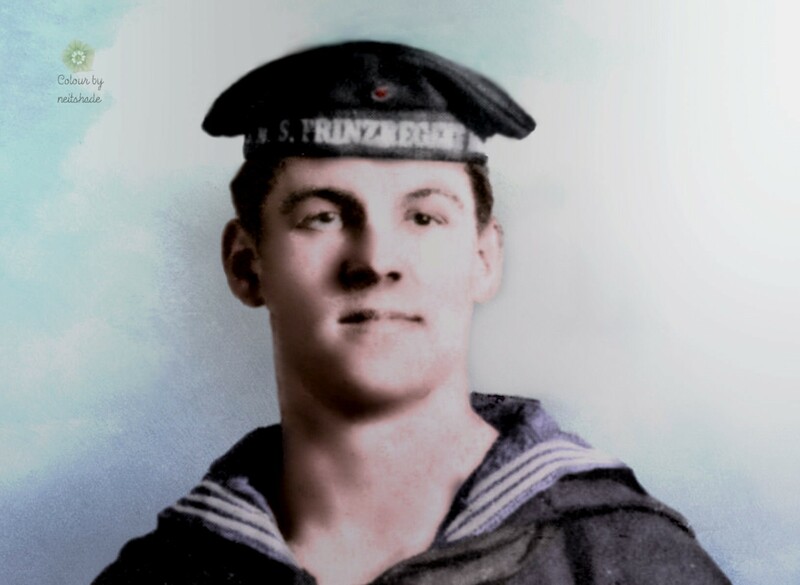 He died in 2011, just a few months after Frank Buckles, at the age of 110. 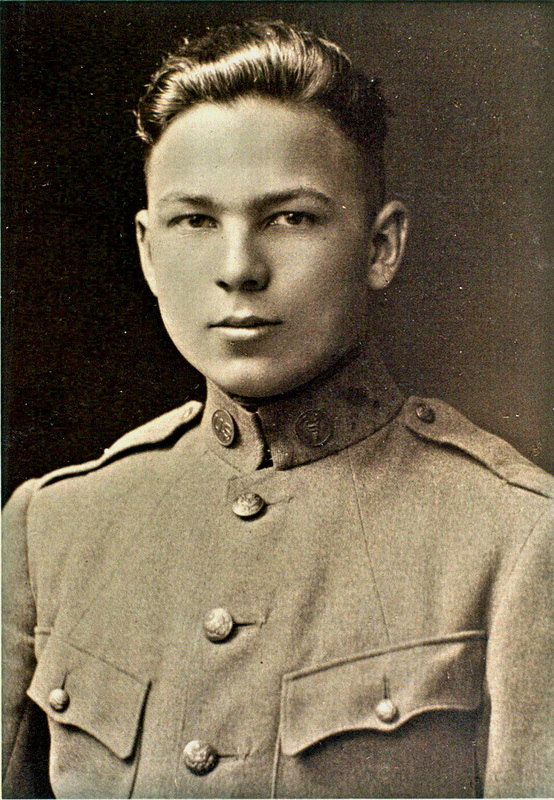 Frank Buckles, the last US veteran of the First World War, in 1917, aged 16. 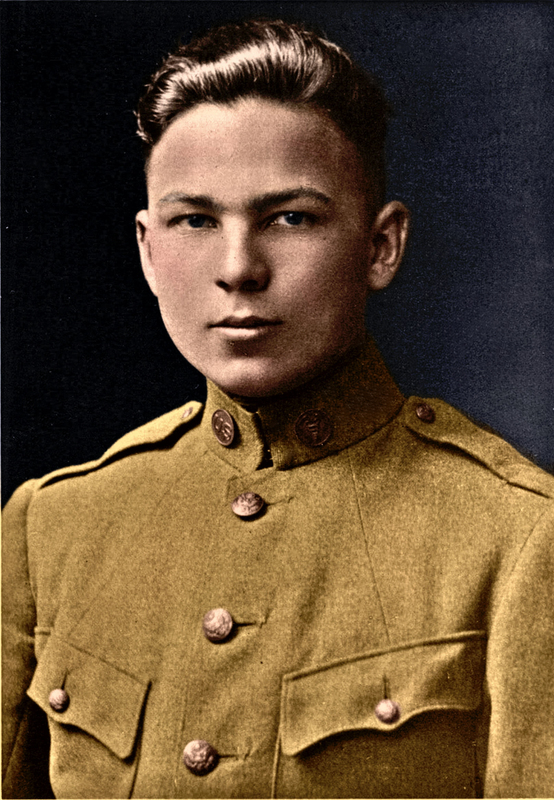 He lied about his age to enlist, failing to join the marines and the navy, but succeeding with the army. 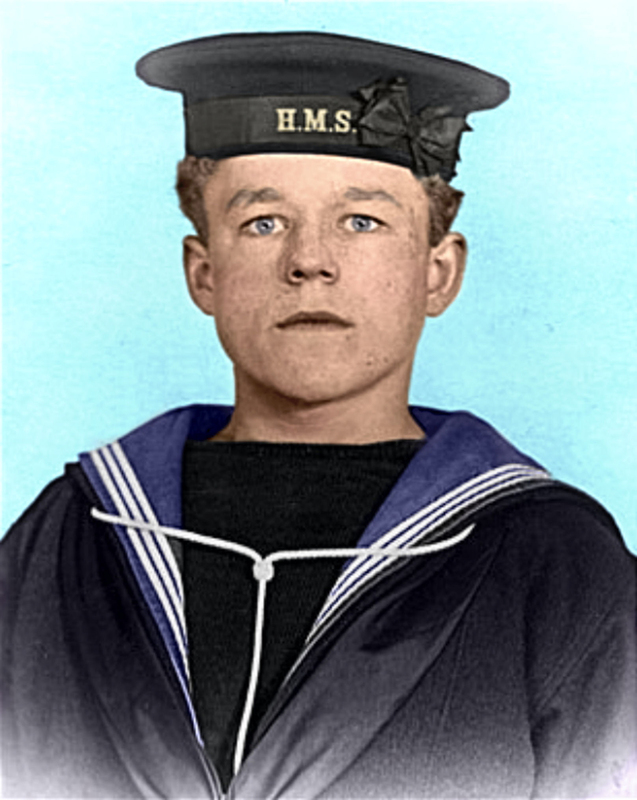 He died in 2011, aged 110.